Eye Center Boutique is a unique optical retail concept that includes the sale of handbags and accessories along with just-in-time delivery of prescription eye wear using the Q-2100 Digital Lens System with nanoCLEAR AR. The flagship store opened with the technology at the Carolina Plaza Mall in 2010 and has grown to 6 franchise locations with one additional franchises set to open in early 2015. Locations are currently found in Carolina, Caguas, Bayamon and Durado. The most recent addition to the ECB family, a franchise owned by Mr. Julio Martinez, at the Montehiedra Town Center in San Juan, installed earlier this month. 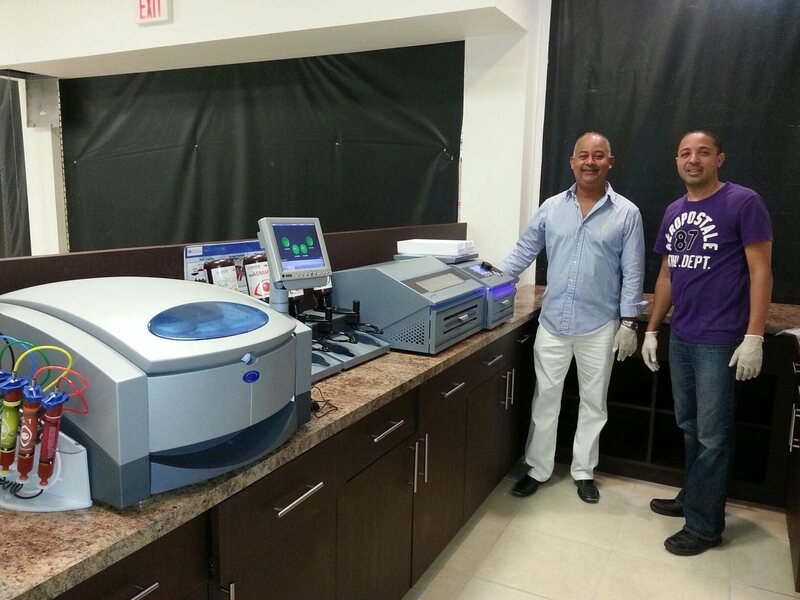 Optical Dynamics welcomes Mr. Martinez and La Manager Juan Carrasquillo to our user community.